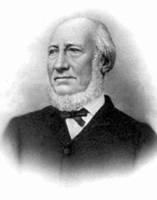 SKINNER, THOMAS, military engineer; b. 1759 in England, son of William Skinner and Hester Lawder of Berwick-upon-Tweed; m. a Miss Power, and they had five sons and three daughters; d. 6 Feb. 1818 at Le Havre, France. A grandson of William Skinner, chief engineer of Great Britain in the mid 18th century, Thomas Skinner joined the engineers as an ensign on 27 May 1774. He was stationed for many years at Gibraltar, where the eldest of his children were born. In the late summer of 1790, now a captain, he arrived in Newfoundland as chief engineer. For the next 13 years, serving successively under six governors, he was responsible for maintaining Newfoundland’s fortifications and other military works so far as funds pried from the Treasury would permit. But no such demand was to be made of them, and some time after 1796 the Volunteers quietly disbanded. In the mean time, in April 1795 Skinner had been promoted lieutenant-colonel and authorized to raise immediately a regiment of fencible infantry for service in North America only, similar to those already raised in Nova Scotia by Sir John Wentworth and in New Brunswick by Lieutenant Governor Thomas Carleton. His vigorous recruiting quickly brought the Royal Newfoundland Fencible Regiment to its full strength of 650 men. 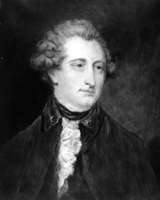 In 1796 the warlike preparations put in hand by Skinner and Governor Sir James Wallace persuaded the French admiral to abandon any idea of an attack. Soon afterwards, however, the fortunes of Skinner’s regiment went into a decline. In its ranks were many who had taken the oath of the Society of United Irishmen, which pledged to achieve Irish independence, and there is evidence that the mutineers on the Latona commanded considerable sympathy from the troops on shore. The strict disciplinary measures taken by Brigadier-General John Skerrett, who was placed in command of the garrison in 1799 over the head of Skinner, brought increasing disaffection, many desertions, and a plot to mutiny and assassinate Skinner and his officers. The uprising, planned for 20 April 1800, failed, and the ringleaders were tried by court martial, eight of them being hanged. All of the regiment except two picked companies was transferred to Halifax, and a regular British regiment was sent to garrison St John’s for the remainder of the war. With peace in 1802 the Royal Newfoundland Fencible Regiment was disbanded. Skinner, who while in command of the Volunteers and the fencible regiment had continued to serve as chief engineer, relinquished that appointment on being recalled to England in 1803. He retired with full pay on 1 July 1807. 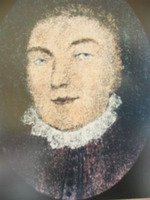 Thomas Skinner’s departure from Newfoundland did not end the military contribution made by his family to the island. His eldest son served there as senior officer of the Royal Artillery from 1821 to 1827, and his third son, Robert Pringle, was a captain with the Royal Newfoundland Regiment that fought in the War of 1812. A daughter, Harriet, was married to an officer of the 7th Foot, and on hearing of her husband’s death in the battle of Salamanca dressed herself in male attire and sought his body on the field. The incident formed the subject for a tragedy performed on the London stage, The heroine of Salamanca. G. W. L. Nicholson, “SKINNER, THOMAS,” in Dictionary of Canadian Biography, vol. 5, University of Toronto/Université Laval, 2003–, accessed April 21, 2019, http://www.biographi.ca/en/bio/skinner_thomas_5E.html.